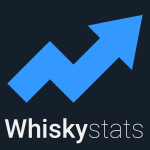 This topic contains 1 reply, has 2 voices, and was last updated by Whiskystats 2 years, 2 months ago. When i adding bottles to my collection and is more than 1, what kind of price i have to put in purchase price, total price or price for each bottle ?? it is the price per bottle. Thanks for the hint, I will add a tooltip to clarify this.